Inspiring everyone to #ShowUp at LGBTQ+ parades and marches. Simply voicing support for marginalized communities isn’t enough any more. 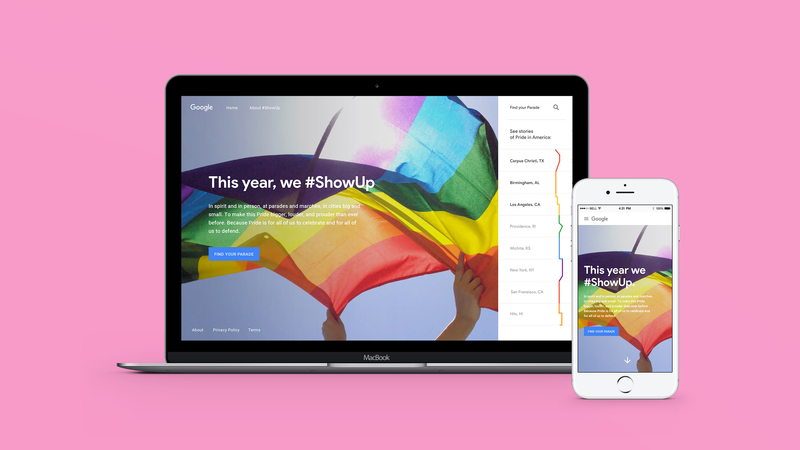 Now is the time to #ShowUp and provide visibility for the LGBTQ+ community. 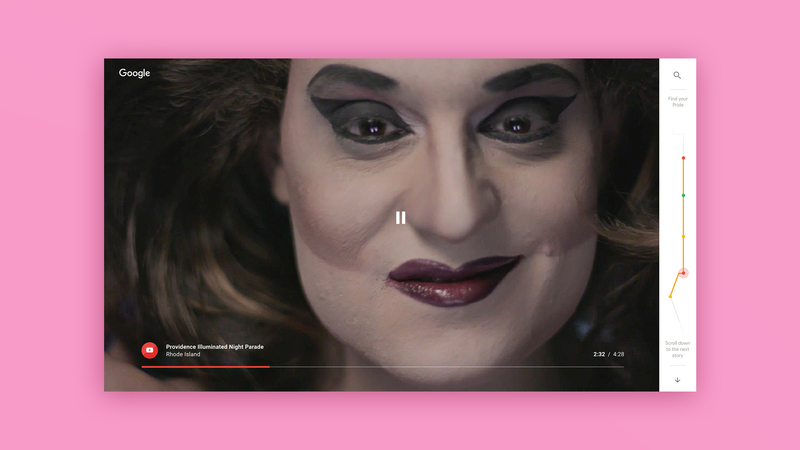 For Pride 2017, we worked closely with our friends at Google to create an integrated campaign (digital, video and social) that celebrates the vibrant stories of LGBTQ+ communities across the US. 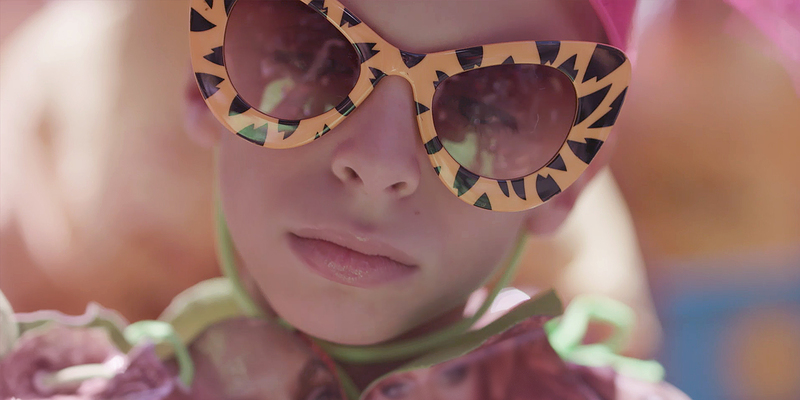 This campaign inspired audiences to participate in local events and experience Pride for themselves. This project took a closely coordinated effort utilizing almost every capability in the studio, from strategy and UX, to motion design and film production. In each of the cities we visited, we captured documentary video, audio and stills that explore and celebrate the varied experiences of the people and institutions that make Pride what it is. The films were then integrated into a unique Street View flow that follows the highlighted rainbow route of the parade or march in each city. Using a lean production approach and in-house post resources, we powered through an aggressive timeline to produce over forty films in just forty days. 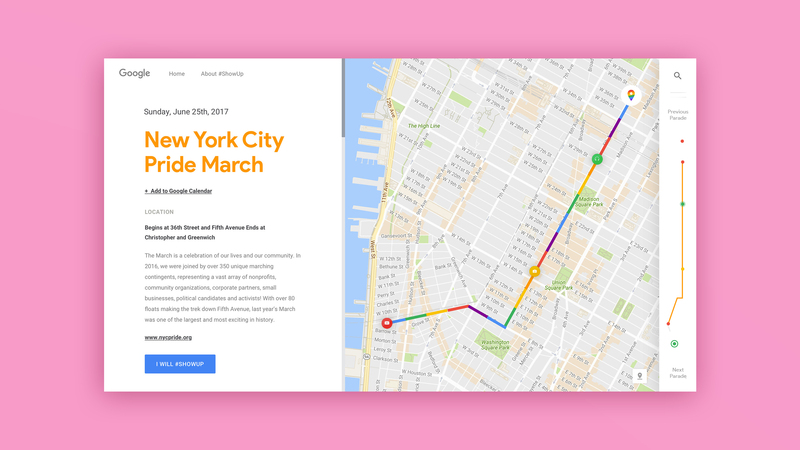 In addition to sharing stories, the site we built and designed with our Google counterparts also connected users to information about Pride events near them, including maps, route info and links to nonprofits that serve those areas. In the spirit of telling stories, people were asked to share why they show up for the LGBTQ+ community using #ShowUp on social media posts. Influencers and celebrities like Elton John, Rita Ora, Chelsea Handler, and Sia posted images on social media outlining their motivations for showing up. 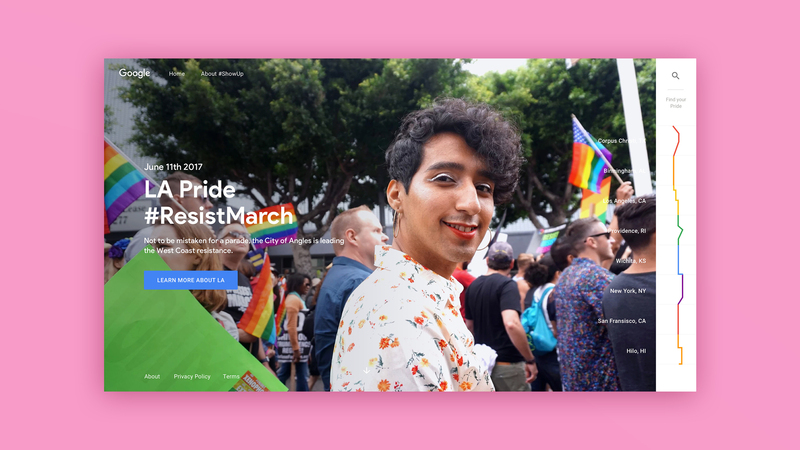 In addition to asking their followers to participate, these posts also drove audiences back to the pride.google. Outside of the site, all of the stories we captured live on a YouTube playlist called #ShowUp Stories on Google’s verified account. Because increasing visibility and inspiring people to show up were the main goals of this campaign, we were thrilled to see how many people watched the videos and continue to share their own reasons for participating in this movement. From an imam in Alabama encouraging LBGTQ+ allyship in the Muslim community, to teens celebrating their first queer prom, the stories captured by our team are stories that need to be heard. The diversity of experiences among the community continues to inspire us and we’re honored to have created a platform that amplifies the voices of LGBTQ+ people and allies who are speaking out and showing up.